Hello, my name is Apollo and welcome to my Massage Apollo website. I am a professional male massage therapist with more than 12 years of experience working in upscale spa facilities, beauty salons, and well established massage parlors. Massage Apollo offers one of the best outcall mobile massage in Las Vegas, Nevada and massage in Orange County, California or you can visit my private studio (incall massage) in both locations. I provide massage in Las Vegas and surrounding areas, as well as massage in Orange County, CA. Massage Apollo is fully certified and licensed in Deep Tissue Massage, Swedish Massage, Sports Massage, Lomi-Lomi Massage, Japanese Massage, Reflexology Massage, Hot Stones Massage, Thai Massage, Trigger Point Massage, Acupressure Massage, Anti Cellulite Massage, Relaxing Massage, Shiatsu Massage, and Custom Massage Apollo. My whole family was in the massage business since the day I was born. When I was just 5 years old I was already practicing my massage skills on my tired sisters at the end of the day, right after they finished their work. I found myself falling in love with massage therapy. I saw how relaxed and happy was everybody around me after practicing my massage skills on them. When I was in high school, I was giving my massages to all my friends and relatives. I realized, that doing something from all my heart it could make a huge difference. Right after high school, I finished special school for professional massage in Las Vegas and became professionally trained, certified, and licensed massage therapist. I have a nation wide certification with more than 5000 hours in school training. It gives me ability to work as a professional massage therapist in any state of The United States. Massage in Las Vegas & Massage in Orange County. I provide incall and outcall mobile massage in Las Vegas, NV. Also, I have my studio for massage in Orange County, CA. Incall massage in Las Vegas is available in Summerlin and on The Strip. Incall massage in Orange County is available in Irvine. Also, my massage studios are in very private and upscale areas. You will always feel safe, comfortable, and secure, just like home. Outcall mobile massage in Las Vegas can be available in Summerlin, The Strip, Henderson, Downtown Las Vegas, North Las Vegas, Lakes Las Vegas. Outcall mobile massage in Orange County can be available in Irvine, Newport Beach, Laguna Beach, Anaheim, Santa Ana, Huntington Beach, Costa Mesa, and all over the Orange County. I can also provide outcall mobile massage in Los Angeles or by request travel to Palm Springs or San Diego. By special request I can travel all over The United States and Internationally. My Massage Apollo can always be performed in your hotel room, house, private residence, office, swimming pool, any spa facility, at the beach, and special massage locations. I provide massage services by appointment only. So, if you want to schedule your Massage Apollo session, it’s a great idea to contact me in advance. I can also be available for last minute Massage Apollo appointments, if I am in town of course. I am conveniently available 24/7. You can feel free and comfortable to contact me anytime, whenever you are ready for your Massage Apollo session. I provide massage for women and men. If you are a couple, I can definitely work for both of you, massaging one by one. I have other massage therapists I am working with. If you want to schedule a female massage therapist I can definitely recommend the most professional and gorgeous massage girls. Massage for female clients and massage for male clients, depends on your request, can be different according to your preference. Usually, massage for females is more precise, focused, gentle, and caring with special, expensive lotions, oils and aroma body treatments. Massage for men mostly requires very strong power pressure compare to massage for women. But it always depends on your massage goal and preference, where I will always fallow your feelings providing the best massage experience ever! Usually, I do Massage Apollo on the professional massage table. By your request, I can work on the massage chair, on the bed, or on the floor, depending on your massage session preference. I always use only high-end, expensive oils and lotions for the best massage experience. 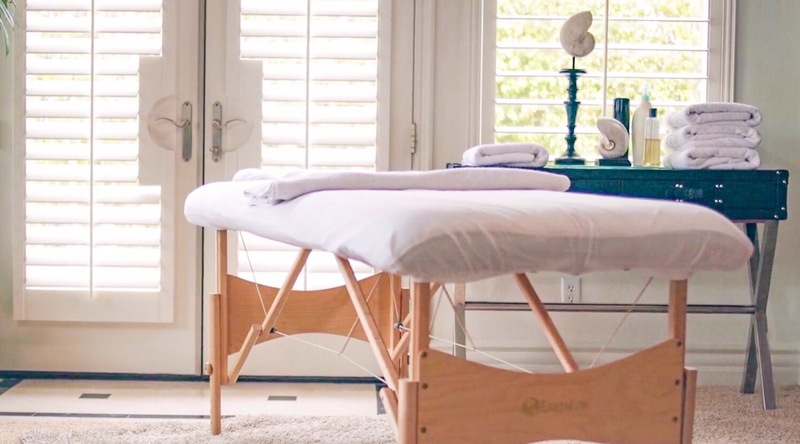 Some Massage Apollo sessions require massage sticks, massage vibrators and trigger point devices, hot towels, hot stones, and some extra massage equipment. I have it all! I am always ready to accommodate with any of your possible Massage Apollo needs. My education and knowledge about massage therapy come form professional massage school with more than 5000 hours of practice. I was trained by professional massage teachers from different nationalities and cultures. I have nation wide certification for massage therapy, but mostly I massage in Las Vegas and I massage in Orange County, CA. My name is Apollo. I am originally from Ukraine. So, I speak English, Ukrainian, and some Russian. I am caucasian, 32 years old, 6’0″ height, and 215lbs. I workout twice a day and promote a healthy lifestyle. My body is very strong, muscular, and flexible at the same time. It always gives me more power to provide the best Massage Apollo Techniques for your convenience, pleasure, and enjoyment. I am always friendly, very respectful, clean, and sophisticated person. My goal is to provide the best massage therapy and relaxation experience for your body, mind, and soul. 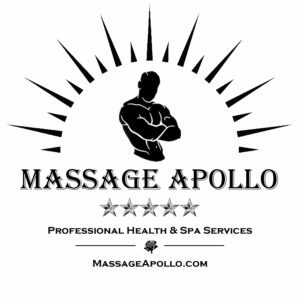 To schedule your Massage Apollo session, feel free to contact me 24/7.